It may be a daunting time to start a business where businesses now are more competitive and global-oriented. But with sturdy foundation, you can achieve success with whatever niche you may want to bank on. Here are some sites to inspire you to start your own business. Entrepreneur is a global online e-magazine that provide various topics in the world of business. From latest updates in the technology world, you’re sure to find something that will perk your interest. Topics range from startup to businesses innovation. For the newbie, this is a good place to start learning the loops of how to start your own business and learn from prominent figures such as Richard Brandson of Virgin Group. Entrepreneur also tackles topics such as handling employee conflict, creative ways to retain employees and the impact of company culture to keeping the best people in your team. Not only that, those who are already in business will also get to learn the latest methods to keeping their business afloat and competitive in this age of rapid changes. My Own Business is another website resource for those who’d want to start their business. Individuals who wanted to learn the business disciplines of starting or expanding one will find this site suited for them. These courses are offered for free, so you can take advantage of the learning materials provided in the site. As mentioned above, there are two categories. ‘Starting a business’ course tackles the characteristics of a successful entrepreneur, step-by-step approach to deciding a business niche and creating a strategy. ‘Business expansion’ takes a more in-depth approach and focuses on income flow, accounting controls, and damage control plans. Each course has a session feedback and quiz to help you review and apply these lessons on real-life situations. BizFilings by CT is also another source of online e-learning platform to help startups. It covers various topics that startups are likely to encounter such as running a business, taxes, insurance and copyrighting ideas to name a few. On the left corner, topics are listed per category. By clicking the category, you’ll be directed to a specific topics under each category. Some learning materials are downloadable, so you’ll be able to check into these topics offline. If you’re living in the U.S, you can check out the ‘States’ portion. Once you click a state, you’ll be able to see the corporation formation requirements, costs and other necessities to forming a corporation. Overall, this site provides a more in-depth discussion about business and may be suitable for those familiar with the basics. Looking into more details on how to run a startup business? School for Startups is a curriculum-based e-learning site that guides startups from turning their ideas into a legit business. Modules are provided for free and are categorized into: entrepreneurship, finding ideas, building business identity, how to get funding, finding products to sell, how to sell, exporting products, service-based businesses, creating a business plan, franchising, buying a business without cashing out, social entrepreneurship and valuating and exit strategies in case your business model fails. Content from site will work well as a supplementary resource. SME Toolkit is another supplementary site you can learn with starting a business. It features articles about accounting and finance, business planning, human resources, exporting, legal and insurance, marketing and sales, technology and operations. It also has an e-learning category where it visually teaches guidelines, topics and other aspects of business such as balance sheets and income flow that’s integral for business growth. If you’re looking for an additional resource to compliment your current understanding on how to go about with your business, then SME Toolkit is the right site for that. You’ll find that reading materials are clear and concise that will go well with your basic know-how about running a business. Experience will teach you well that business is not for the faint hearted. Many business people had gone through trials and failures before really achieving the ‘peak’ of their success. Anticipate the downtimes and never shut down possibilities because of one ‘missed’ opportunity. Keep pushing through and you’ll be on your way to success! Opportunities to earn online is making it possible for many to earn passively in the comforts of their home. Online marketing happens to be one of the most profitable skill to bank on. Here are what experts do earning double their income. Pat Flynn is probably one of the most prominent figures in the world of marketing. Smart Passive Income is a great site to look into for resources and techniques to sharpen your marketing skills and knowledge. Featured blogs on this site are also filled with rich materials to help users upscale their skills with the techniques that Pat Flynn uses to generate money from his site. You can also listen to his podcasts that ranges from businesses to generating income from publishing. Pat Flynn’s site “Smart Passive Income” is one of the absolute best resources when you’re starting out online. Pat has a great podcast, a great site and a great community that enables you to get a head start in the online world. Check them out! Sebastian Johnsson, creator of Smartlend.se – Sweden’s leading comparison website for smslån/snabblån. For those new to this industry, Viperchill has various resources that marketers can take advantage of. Glen, the owner of Viperchill, has a rich experience in the marketing and SEO industry that makes him a reliable figure to help marketers from all skill level achieve marketing success. As mentioned, this site has resources fit for any skill level. For beginner, there’s a 2-hour video provided to help you get started. For the intermediate, users can also take advantage of CloudBlueprint which enhances what you’ve learned from your beginner’s course. Advanced marketers may find good blogs to read to sharpen their marketing skills when it comes to posting blogs and increasing visits to their sites to name a few. Lazyass Stoner also provides a good learning platform for newbies who wanted to profit from online marketing. Those interested to work on their SEO, email marketing and social media marketing and video marketing are top categories that are being discussed in a blog-type platform. You will be introduced to various marketing tactics to maximize your income through social media marketing using Facebook, Pinterest and Twitter to name a few, nailing the right marketing message to get clients to click in and purchase your product and videos that gets them curious enough to buy in to what you’re selling. A blog is a good place to start. However, before you start adding content to it, you’ll need to start with a niche. Is your niche based on a certain service or product? What is your target market? These are some questions to help you streamline your market. There are many free blog platform you can use for this as your starting point and go premium from there. For the intermediate to advanced marketers, owning a website is the next step. Hostgator and GoDaddy are some popular sites that you may want to check out. – Resource sites: Marketers makes use of banners or links to refer other sites. This type of marketing strategy doesn’t require marketers to have an actual product or services but they get to earn money through referrals. – Review sites: Contents are focused on reviewing sites or products in your chosen niche. For every product you review, you link these to your merchant partner’s site. Unlike resource sites, there’s no need to constantly update it. There’s no easy way to learning how to make money online. From starting a blog to creating a following, earning money online will take time and lots of persistence. Seek insights from mentors and continue learning the loops and achieve success through online marketing! Whether you want a career change or just curious of what it takes to create a website, learning web development is not limited to only a few. There are various websites that shares content for free while more detailed ones are given for a premium. Here are sites to help you get started. This site provides education for various programming languages all compiled into interactive lessons. In here, interested students will learn the fundamentals of coding languages such as HTML and CSS. This free educational platform provides users the opportunity to learn coding from the basics to advanced levels. Users need to sign-up to get full access to these lessons. Also known as ‘tracks’, these lessons are structured in a flowchart where students need to learn first on the fundamentals then work their way to developing site. Individuals participating this course will also have a hands-on experience with a simulated, two-way visual where you can code on one side and get the visuals on the other side. It offers a good resource of online material users can use to understand the basics of coding such as Ruby on Rails and PHP, web design, Android and iOS applications. Though these comes with a premium, students are guaranteed to have a rich learning experience. Once a member, users can immediately access materials to start learning immediately. Expect new lessons to be added weekly. Instructors are experts in their field and provide detailed, clear and moderate paced instructions to get users through each lesson. Lessons are given step-by-step to help digest each topic without ‘overloading’. Beginners will benefit from this site’s video tutorials that are easy to follow. Users are given step-by-step methods to creating their own website. Materials from this site may be suitable for advanced web developers. This site uses an e-learning platform to teach beginners the basics of coding and how to create a website. This course is offered for a premium of $199. Users will be given a comprehensive, steb-by-step lessons on creating websites or applications. It consists of video tutorials lasting up to 45 hours. Furthermore, manuals, exercises and resources for additional references will be given on top of the tutorials. Users will also learn to create texts, links, images, cell-spacing and other elements needed to creating a website. Resources will also be provided to keep users up-to-date to help them compete in today’s market. However, if you want a more in-depth understanding of web development, you may want to take in more supplemental resources to help you upgrade your skills. 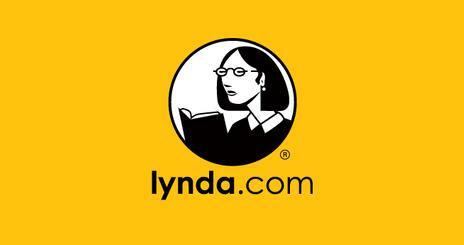 Beginners may also opt to learn web development courses offered in Lynda. It has a lot of resources to help users understand the basics to advanced programming skills to creating complex websites. At a premium, users will have access to various video tutorials about web programming. Tutorials are given in short segments instead of one-hour long tutorials. These tutorials have high-quality instructional strategies that are easy for the users to follow through. For those who prefer to have a more engaging environment, Lynda may not provide as much of this aspect. You can opt to get into online communities for this to gather supplemental information. The Internet is filled with sites to help you learn the basics and advanced skills in web development. Training courses are also great platforms to help you with hands-on experience. You can check out reviews to enroll in a program and get the best value for your money. You’ve probably noticed the booming mobile industry. There’s practically an application you can use for everyday tasks off your smartphone. If you’re interested to learn more on how to create your own mobile application, here are some sites you may want to check out. This is the primary source of anything you’d want to know in creating an android application. It gives a step by step guide on how to create an application from scratch. Lessons are given in an informative blog type style with easy visuals and coding samples to help you get through each topic. If you’re not much of a visual learner and prefer the simple and direct approach, then this site is for you. It may lack community interaction but there are a few resources online that can help you with that. Navigation from one topic to the other is easy and transition is moderate with a few sub-lessons per topic for further perusal. This is another website that gives you a full range of Android development resources to get your app running. Android development programming is given for free in this site and lets users learn from the basics to adding your finished app in Google Play. But just like any free learning platform, you’ll need to sign-up first before you can go further with the training. Each topic has a set of videos ranging from 1 to 10 minutes long. You may find that the videos may be a little fast paced, so having additional resources for further studying is recommended. Intended for beginners, Tutorials Point helps users understand the fundamentals of Android programming. Most of the lessons provided in this site is informative and focused on up-scaling skills from beginner to moderate. Before users can start with the lessons, basic understanding of Java programming is mandatory to make the transition easier and learning faster. The site is laid out with various Android topics for beginners, intermediate and advanced programmers. For the visual learner, this may not be the site for you. Though topics are discussed clearly, most of them are direct to the point with sample code pictures shown for codes generated to create a specific element. Overall, this is a good site to supplement ongoing projects with clear instructions and details on how to go about developing your Android application. The learning platform for Coursera is video-based and are to be taken on a weekly basis. Ranging from week 1 to week 8, students will be able to learn the basics to creating applications to data management. Tutorials are given in a clear and concise manner that enables users to understand codes and the flow of each step to take. There’s no need to sign-up so you can go back to these videos over again in case you missed some points. Instructors have clear methods that helps students visually understand the codes and how to add elements to their applications. Compared to the usual information blog type platform, Team Treehouse takes on a more interactive and visual appeal to learning. You’ll notice that the tutorials are arranged in a flow chart that are more organized. Users will learn the basics on Java, building the application, building an interactive story app and publishing it, tools you’ll need to create applications, adding elements to enhance the application and data persistence. In order to unlock these tutorials, you’ll need to be premium subscriber. Instructors provide a clear guideline on how to go about with Android application development. These sites are great resources for start and even enhance your skills in creating your own application. Though it may its set of limitations, learning online offers a flexibility that lets you learn from the comforts of your home and without time constraint of going to a traditional school. Take every opportunity to learn from mentors and fish for insights on how they went about launching their application successfully. Many web developers are now branching out their skills and dabble with mobile applications. Since the launch of smartphones, many companies have shifted to developing mobile applications from games to everyday use such as sorting bills. Today, iOS development is one of the platform that web developers use to create these seamless applications. Here are some schools to help novice web developers to expert level. Code School is a suitable learning program that advanced beginners may want to join in. They offer training for a monthly cost of $25. Unlike relatively ‘boring’ classes (as expected from a coding course), presenters have a friendlier approach. Information are practical and directly applicable to Ruby projects. Exercises are given at a pace that’s easy enough to help them get understand a topic but tough enough to process what they learned. These are balanced by having exercises closely related to the examples given and providing hints to ‘stucks’ that they might encounter. Other courses given are on Ruby, HTML and CSS to name a few. Coming off a consulting firm, Chris worked as programmer that customize apps for clients. With Code with Chris, his methods in helping students learn codes is very practical. If you’re new to iOS development, it may benefit you to learn from Chris’ training course. There are beginner courses offered off the site that users can fully utilize immediately. From tools to swift codes to creating user interface, you’ll find that the site is rich with videos and reading materials that will guide you to get your first iOS app done. You’ll also find training courses for app and web development in the training courses tab should you want to you want to enhance your skills further. 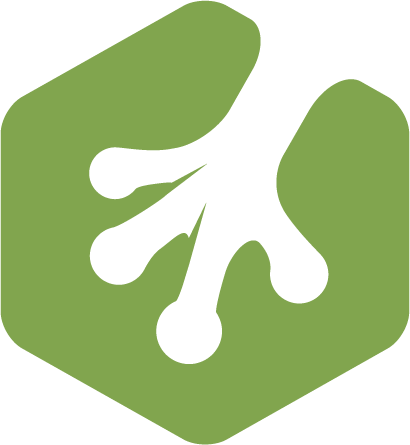 As expected from Team Treehouse, users will find learning iOS development fun and challenging. Once you’ve opted to sign-up for the ‘iOS development with Objective-C’, you’ll be directed to a page that looks like a flow chart. There are many levels to achieve first before you can go to the next. In this education course, you’ll be taught the basics of Objective-C, building an iOS 7 app, creating a blog reader, self-destructing message, using core data to create a diary app, building a photo browser and implementing designs for iPhone. There are other courses offered that will compliment what you’ve learned in the previous track. There are also foundation framework track, advanced objective-C and enhancing your understanding and skills in identifying weak and strong property attributes. Of course, where else would you learn the best if not from the source itself? Apple also has a platform where you can learn iOS development and creating apps from it. In the iOS developer library, you’ll find all sources from the process of creating an app, incorporating data, writing custom class and other iOS technologies that you can adapt your app with. Though the platform is more technical, this may serve as a good reference for current courses you are currently enrolled in. Appcoda’s aim is to inform the user how to go about developing the app. Its iOS programming course is offered for free found in the ‘course’ tab. Tutorials are given in a more informative blog type platform where materials and sample codes are seen. Though it may not appeal to the ‘visual’ learner, it certainly provides a good reference of programming content that users from all skills set will greatly benefit from. The packages offered have much to teach about Xcode projects, iOS 8 update and an iOS Game starter kit fit for those planning to create game apps. Packages range from $39 to $189. Always look for ways to enhance your knowledge about coding and how best you can use this in your mobile application. It’s also best to learn from tenured ones, so be sure to look into communities who have the same interests as you do. And lastly, when you’re in this industry, it’s always best to keep innovating so keep looking for the ‘next best thing’!